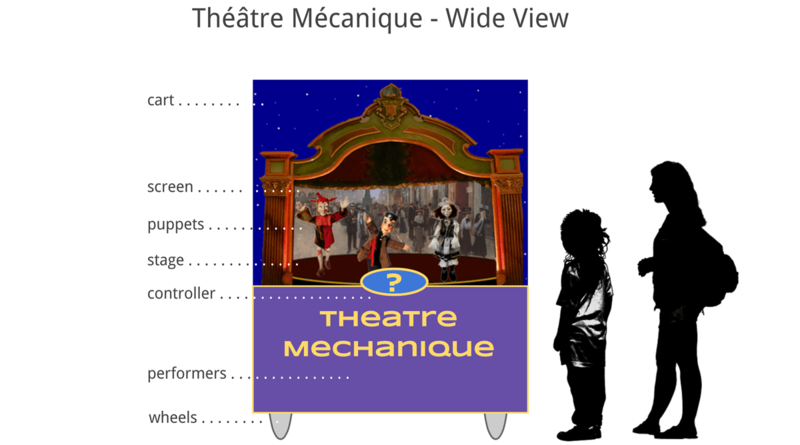 Theatre Mécanique is a proposed interactive storytelling system featuring animated puppets and computer-controlled multimedia. The idea is to build an interactive storytelling system that would let you experience and remix some of the great myths and legends shared by all cultures around the world. It would enable small groups of people to collaboratively reenact some of these universal stories, connect them with their daily lives — and better understand each other as a result. This theater cart would enable small groups of people to experience universal myths, and select plot elements. This mini theater would be mobile, like a hot dog stand, so it could be located anywhere, from birthday parties to street fairs or even on the Playa. It would feature animated puppets, which could either be controlled manually by live performers, or automatically by small computers like Arduino: the puppets could slide in and out of the stage, face one another and/or move their heads and limbs, as shown in the prototype we’re now developing for a balinese cuckoo clock. Animated puppets would act out short stories against colorful images, rear-projected on a background screen. This mixed media system would include a good sound system for amplifying background music, sound effects and character voices, either live or pre-recorded. 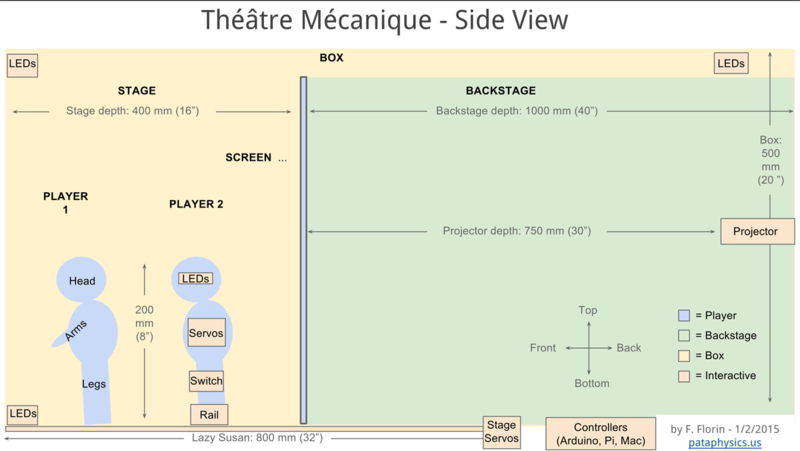 A rear-projection screen would set the mood by displaying a wide range of images for each scene, from landscapes from around the world to historical or futuristic scenes. An interactive controller at the front of the stage would let visitors and performers select different types of stories, characters, images and sounds. 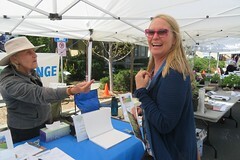 Participants would be invited to approach the theater and pick a topic, place or time on the controller. The puppets would then act out a short 1-3 minute scene based on your selection. At the end of each scene, they would ask you for more plot ideas, to guide what happens next. The performance would be recorded on video, which could be emailed to you afterwards, as shown in this first example. This is an ambitious project, but it appeals to me deeply, because it has the potential to support a wide range of applications: from simple party entertainment to more creative uses, like a time machine simulation — or even scenario planning for group discussions. In coming months, I would like to explore this idea with friends and collaborators, starting with simple low-tech theatrical experiments and eventually building small prototypes for key parts of the system. I am quite aware this is a large, multi-year project, so I am proposing to start small, and spread research and development over time, with actual fabrication starting a year later. This process is inspired by our collaborative work on the Pataphysical Slot Machine, which we aim to exhibit in public this year. For this Theatre Mécanique, I hope we can find the right balance between existing storytelling traditions and new interactive technologies — so that the human qualities that make great performances possible are supported by these tools, rather than supplanted by them. Interestingly, this also ties in with the larger challenge we all face as a species, as we look for the right interplay between human and machine intelligence. To that end, I hope that we can tap diverse communities of artists and engineers to participate in this creative experiment. Fortunately for us, there is a large community of puppeteers already practicing around the world, from Guignol to ‘toy theaters’ to Wayang — and these creative artists have already paved the way for this art form to evolve in a computer-assisted setting! I look forward to discussing these ideas with interested collaborators later this year. 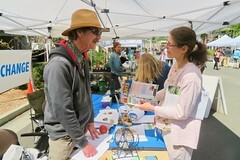 For now, I have included below a variety of links that might inspire us in planning this project. 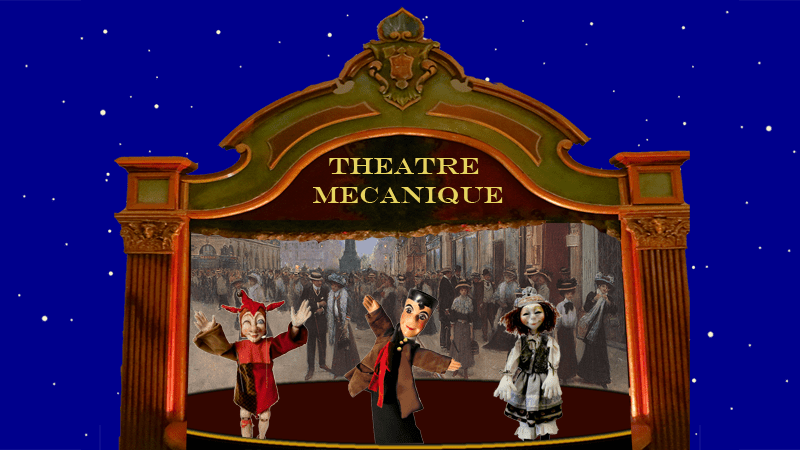 This entry was posted in Art and tagged arduino, Art, collaboration, idea, interactive, mécanique, Multimedia, myth, mythology, puppet, stage, story, storytelling, theater, theatre on January 10, 2015 by Fabrice Florin.